Even today there are many gong forges producing handmade gongs using traditional techniques. 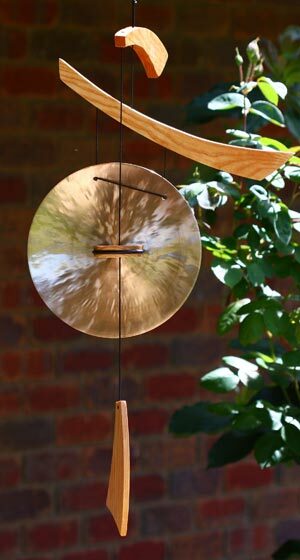 Each gong is a work of art and of excellent craftsmanship, the results are unique. 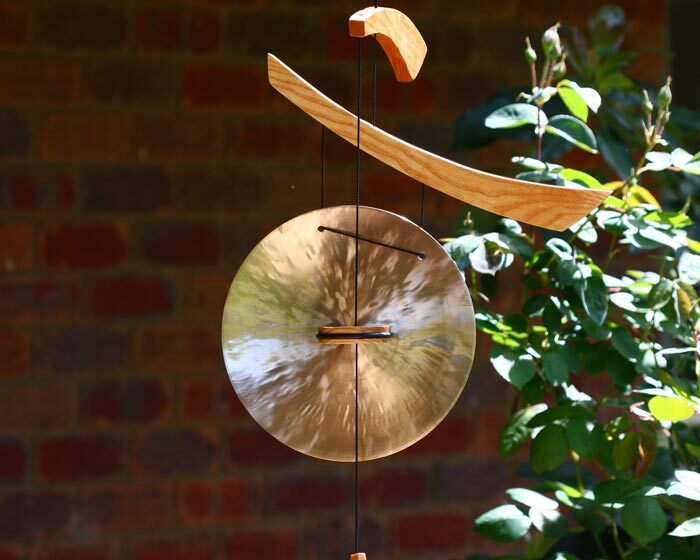 These Asian-inspired gongs emulate grace, balance, and harmony. 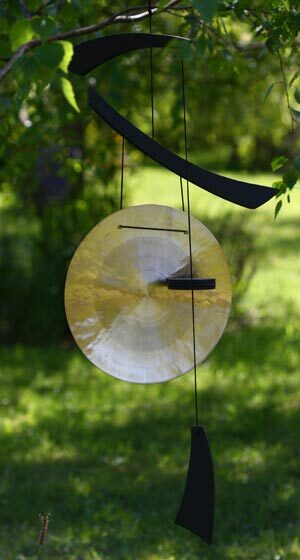 Their elegant design is centered around a hand-hammered bronze gong made with traditional techniques by a gong master. The suspension parts are constructed of beautiful cherry-finished ash wood, strung with UV-resistant nylon line. The striker has a rubber strip inset around the circumference. The Emperor Wind Gong can be played by hand or by the wind. 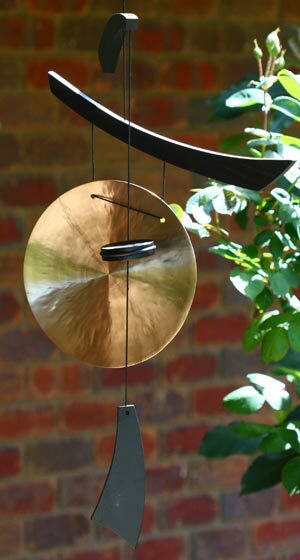 We are confident that you will be happy with our high quality wind chimes. If you are not 100% satisfied for any reason, a full refund is available. (Returns must be well packed and returned in their original condition within 30 days.) We will even pay return postage.